Ministry of Housing and Infrastructure has said that they are working to give out the flats built in Addu City as a part of the project to provide housing to the Maldivian people. Senior Policy Executive at the Housing Ministry, Abdulla Ziyad told Sun Media that they are working to handover the flats before 26 July. He said that most of the project is now complete and now are working to installation of the water systems. Ziyad said that the evaluation process for the Hithadhoo flat applicants has been completed.and the ministry is hopeful that the flats can be populated before 26 July. The government has developed 264 flats in Hithadhoo and 48 flats in Hulhumeedhoo, Addu City. 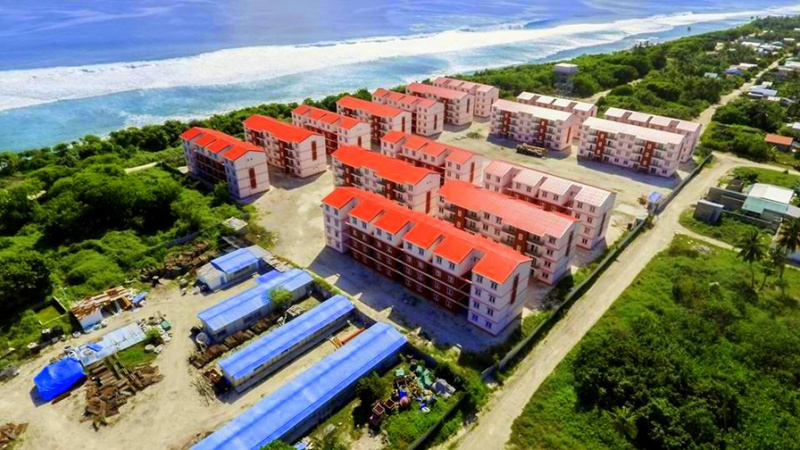 The project contractor, Chinese National Machinery and Equipment Import and Export Corporation (CMEC) began building flats in Addu City in 2015.